The South Side of Saturn: Superblast! Thanks to this post on Metafilter, I got a kick out of watching the Lush video of Superblast! Spooky was one of my fave cassettes of the 90s. It's ironic that the music of Lush et al. was called 'shoegazer' in the UK, since that makes it sound like they were mumbling Finnish folk songs. Superblast! sounds just what you would expect from the title. 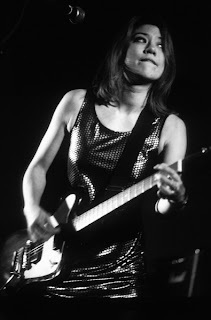 Lots more at Andy von Pip's Miki Berenyi site.